The Top 5 Reasons Why People Move To Arizona may differ depending on who you ask. Home is where the heart is, as they say. One of the reasons why people move to Arizona is for the natural wonders. Just a few hours north of the Phoenix metropolitan area you are going to have access to the very famous Grand Canyon. The Grand Canyon offers many activities. Hiking, Camping, sightseeing, airplane, helicopter, bus, rafting tours and more, along with other nearby attractions are just a few of the things you can do here. The mighty Grand Canyon is a mile deep and is approximately 277 miles long and up to 18 miles wide in some parts of the canyon. If you have yet to see it, you owe it to yourself to discover the Grand Canyon at least once. I did and it is unbelievable! Pictures do not do it justice. Is the Grand Canyon one of the reasons why people move to Arizona? Probably not the only reason, but it certainly helps! This is another natural wonder and another one of the reasons why people move to Arizona. A very little canyon compared to the Grand Canyon, but Canyon de Chelly National Monument is also a very popular national monument. 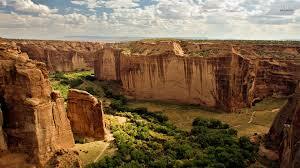 Very scenic overlooks, along with the Anasazi ruins, this canyon will not let you down in terms of scenery. 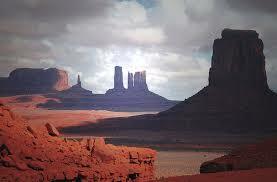 You will also be able to discover the Navajo Indian culture in today's world. Another one of the reasons why people move to Arizona is just the beauty in itself here in the Grand Canyon state. 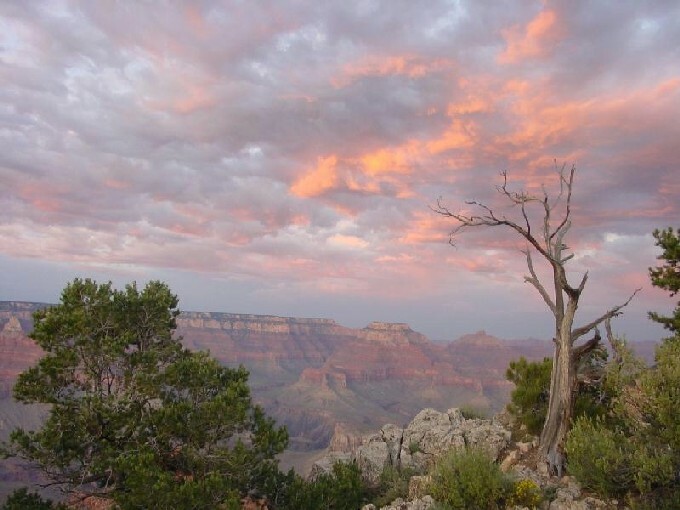 You can hike or just drive around the rim area and enjoy the magnificent sights, go horseback riding or be adventurous inside of a 4-wheel drive. The possibilities are endless when it comes to adventure. There is a lot of family fun here at Chiricahua National Monument. Great rock formations here and just one more of the many reasons why people move to Arizona. Whether it is just a sight-seeing picnic or a hiking trail, this is a great place to check out and another one of the reasons why people move to Arizona. What's also nice about this monument is that if you are physically challenged, this site also has disabled access, which makes it that much more appealing. You will also find campsites, horseback riding trails, and even some self guided tours that you or your family can partake in. This monument covers a 19 mile square radius and is considered the "wonderland of rocks." Do you need more reasons why people move to Arizona? Ok, then this is definitely a must see! A newer park, the Kartchner Cavern State Park will likely be one of the natural wonders that you will go back to see again. If you have little ones, this cave is plenty big for their exploration along with 3 miles of tunnels. Heck, this could even be a great classroom lesson about limestone rock! Afterward their is also the "discovery center" along with a "cavatorium." Looking for a little bit of peace and quiet or just need to get away from the normal "hustle" of the fast-paced city life? Then this is another one of the fine reasons why people move to Arizona. You will enjoy this picturesque and popular drive! A 45 mile long stretch of Forest Road 300. From Payson, take Hwy 260 east and follow the signs. The Mogollon Rim extends for 200 miles runs across central Arizona. Dramatic views and more can be discovered here. Nature at its best. Pine trees, cooler air, and beautiful 2,000 foot rock-cliff views. This area known as the "Rim Road," and this route is over 100 years old. It is also the longest continuous "high road" here in the state of Arizona. You will experience its average height of 7,000 feet. The views that you will discover go without saying! The Mogollon Rim provides dramatic views and carries itself for 200 miles on into New Mexico and give you another one of the many reasons why people move to Arizona. Park's visitor center. This beautiful monument is situated approximately a short four miles off of the U.S. Highway 163. This landmark is well known for its redrock buttes! You will experience nothing less than breathtaking views. This really does looks surreal. This monument is another great reason why people move to Arizona. It really is. According to the Navajo Parks and Recreation Department, better than 50 million years ago, the natural forces of combined wind and water, eroded this land now known as Monument Valley. The many years of this process of wearing down the layers of soft and hard rock, created one of the natural wonders that it is today, which is the Monument Valley today. Not only will you find beautiful views, but you will also find adequate camping. Do you enjoy camping? If so, this area alone is another one of the reasons why people move to Arizona. This site has a 100 sites set aside for camping along with local Navajo Indians who sell their handmade crafts and various other items. You will also enjoy their native Navajo Indian food. M-M good! If you need your four seasons, you can be rest assured you will find it here. If you need more reasons why people move to Arizona, this could very well be one of the more convincing reasons why people move to Arizona. Especially if you prefer having a little taste of winter, this area is perfect for many who cannot stand the summer heat in Phoenix area. During the winter, your highs will range in the middle 40s and the lows somewhere in the middle 20s. This area does not receive a lot of snow, but it generally receives several inches during any give season. In the summer, highs typically range in the upper 80's and lows in the 60's. So, if your significant other needs your best convincing offer of reasons why people move to Arizona, this one just might work on him/her! The visitor center offers guests many interesting exhibits as well as detailed information about the history regarding the Navajo tribe. You can have also have a bite to eat and take back a souvenir. Couple of other notes: If you plan on doing any off-trail hiking, you may do so. Just note that hiking is permitted, but only with one of their hired tribal guides. The Navajo Nation does NOT allowing rock climbing at Monument Valley. Here are the hours of the Monument Valley. The Monument Valley visitor center is located at Monument Valley, Arizona. Information and permits can be obtained for Rainbow Bridge trails, the Oljato area and for the San Juan River. Petrified wood is not a real uncommon phenomenon, but you will not find any with such abundant colors here at the Petrified National Forest! You guessed, here is another one of the reasons why people move to Arizona. Lots of hiking trails and more such as historic structures. You can experience some very historic old fossils! Entertain yourself, your kids or your partner with the petrified wood displays said to be more than 225 million years old! This site proudly has one of the worlds largest, not to mention the most colorful concentrations of petrified wood. Many other archaeological sites, badlands of the "painted desert" and more of the Painted Desert, historic structures, archaeological sites, and displays of 225 million year old fossils, equal more great reasons why people move to Arizona! 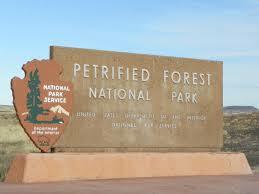 You will discover many scenic wonders and fascinating science here at the Petrified National Forest. At least your kids would probably agree with you that this another one of the great reasons people move to Arizona. Kids just love this stuff. This natural wonder is located just off of I-40 in northeastern Arizona. If you are looking for a one day activity, this one-day only park just might "foot the bill." Just because this is a "one-day use only" park, do not let that fool you. 286 long acres of nature preserve along with its striking and magnificent red rock, this would be a great place to visit, especially if you are visiting the Sedona area! Another one of the reason people move to Arizona is to be near Sedona. Well, here is your chance. 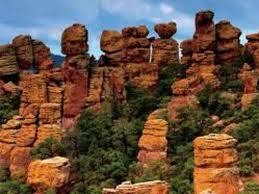 This state park is conveniently located a mere 5 miles west of Sedona off highway 89 A. Here, you will find plenty of hiking trails, interesting exhibits,picnic areas, a visitor center which, I might add, comes with a theatre area. Of course you are going to experience the obvious, which is sight-seeing beyond belief. And, if you are physically challenged, this state will be able to accommodate your physical needs and makes it another one of the reasons why people move to Arizona. There are many sites throughout the state that are handicapped accessible. Another one of the reasons why people move to Arizona, is because of the parks here. 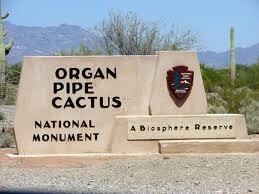 The Organ Pipe Cactus National Park is open 24 hours. How does that sound? A great place where you can learn about the plant and animal life in the Sonoran Desert. The monuments namesake cactus is everywhere, too. You can capture incredible views of wildflowers in the spring. The monument offers hiking trails and a campground visitor center. Another one of the reasons why people move to Arizona, no question about that. 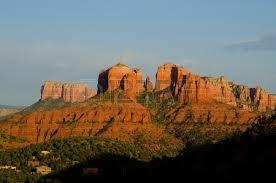 Without a doubt, Sedona is one of the natural wonders which exist. I know that there are many people, most of which are retirees, who understand all of the reasons why many move to Arizona. I saw a news segment on television recently where a retired couple were moving to Arizona. No big deal, right? It turned out that this couple no longer drove and they did not want to fly, so they took a taxi all the way from New York! Imagine the cost of that taxi ride! I don't think this couple needed any more reasons why people move to Arizona, what do you think? Every year, many people from all around the world flock to this indescribable hot spot known as Sedona. 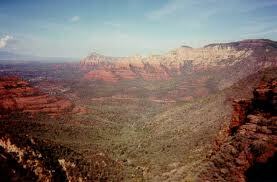 I have been there and I can attest to the gorgeous red rock that surrounds the entire area. Interesting landscapes, plenty of shopping and both casual and fine dining restaurants, hiking, Pink-Jeep Tours, creeks, plane rides, spas and 4-star resorts, this area is always a very busy place in the summer as many local Arizonians escape for some cooler air up here provide a few more good reasons why people move to Arizona. Just a real relaxing place to get away to. Sedona is the most unique place on earth, according to many, including me. This area is another one of the reasons why people move to Arizona, mainly because of the beautiful red rock landscapes and the scenery. People visit this special place from all around the world. The mountains you will see are so red that they don't seem real. Great history about the Native American culture is another reasons why people move to Arizona. You won't find more history and Native American culture anywhere else. Not only is there Native American Indian culture, but you will also find both casual and fine dining, and four-star spa resorts. Sedona truly is the ultimate for relaxation vacation spots and another one of the many great reasons why people move to Arizona. Oh, make absolute sure you do not forget the most important thing: your camera! You will never forgive yourself! This site is open daily except for Christmas. 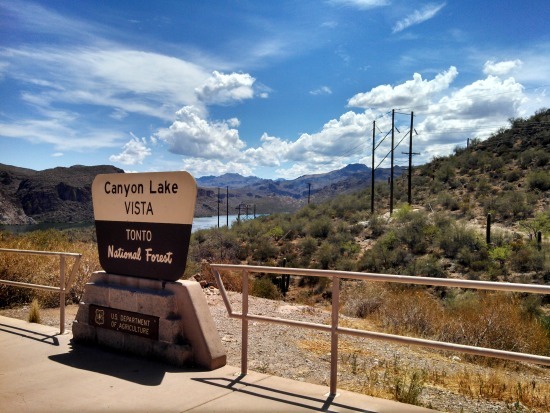 The Tonto National Forest provides nature enthusiast nearly 900 miles of National Forest System Trails. Bikers, hikers, and equestrians alike can enjoy the extraordinary beauty here. You will discover the world's largest natural travertine bridge here at the Tonto National Forest, which measures 400 feet wide, and arches 183 feet above the Pine Creek. Ever flowing springs can be viewed along with the more than complimenting grassy meadows from above the bridge. There is even a "turn-of-the-century" hotel which provides a peek at earlier times in the area. Do you still need some more reasons why people move to Arizona? How about some challenging hiking? Maybe not for the real young ones, but they are available for those who relish the challenge. Please note that some of the trail conditions can vary, ranging from good to very poor. Most of these trails are not able to accommodate motor vehicles of any type. If you like a challenge, though, as I said, this could just be what you are looking for as it does have many steep grades and heavy brush. If you are a "hearty hiker," the prize is the more than scenic views, not to mention the peacefulness of being secluded from any noise, other than the sounds of all the nature you will likely encounter. Address: This national state park is located just 14 miles north of the Payson Arizona, area and .5 miles off of Highway 87. With the continual sunshine and warmth that is everlasting, is also the abundance of golf courses, certainly the sunshine has a lot to do with why people move to Arizona. Is 338 days of sun enough? If golf does not interest you, Arizona is home to many hiking as well as biking trails for you to enjoy and one of the top 5 reasons why people move to Arizona. The wildlife is very much alive and abundant here in Arizona and I believe, the third reason why people move to Arizona. You don't have to travel far to get a glimpse of the many wildlife species. 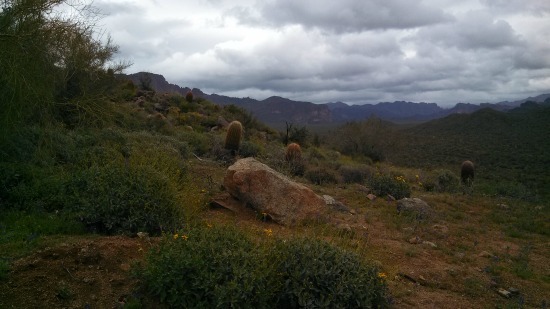 Saguaros, coyotes, wildflowers, snakes, javelinas, bob-cats, roadrunners, the list goes on and on. You will not get bored with the amount of wildlife you will experience here. This is another reason why people move to Arizona and you don't even have to drive out to the mountains to see it! The housing market is exploding with new homes, thus qualifies for another one of the reasons why people move to Arizona. Although there has been a decline in home building, there are still many homes that continue to be built to accommodate the many people that continue to move here. Housing is very much a big reason why people move to Arizona. According to the East Valley Tribune in April 2007, "developers see the slump as an ideal chance to expand into Arizona — though it means taking risks. Several companies have recently entered the local housing fray with plans to build hundreds of homes in the East Valley. Newcomers, such as Pennsylvania-based Orleans Homebuilders, are looking to establish themselves as long-term players." The East Valley Tribune also reports that “Arizona has always been considered one of the better housing markets in the United States,” said Ray Leppien, president of Orleans’ local division." This is another one of the reasons why people move to Arizona. This mentioned company is in the process of building a 267 subdivision homes in Gilbert, which is a suburb located southeast of Phoenix. The Tribunes article also states that the Arizona market is not as big as it was a few years ago, but compared to other states in the country, Arizona continues to be a leader of home that are being built. With the overall decline in housing countrywide, however, "builders are struggling to offload thousands of speculative homes, postponing projects and selling swaths of land to improve their balance sheets," that also according to the East Valley Tribune. So, that equals a "sweeter deal for you," and another one of the reasons why people move to Arizona. The weather is pretty hard to beat! Our state has well over 300 days of nothing but sunshine and most folks would agree that that the weather here in Arizona is fabulous. Despite the real hot summer months, you cannot deny that it is better than the high humidity in other parts of the country, especially the Midwest where I grew up in. I would take the extreme heat here in June, July and August over mosquitoes any day. I remember literally getting "eaten alive" back in Wisconsin and Minnesota. I know that this is one, if not the most popular of the 5 top reasons why people move to Arizona. If real hot weather is something you could do without, the northern part of the state will provide you with the "best of both worlds!" There are times when cold air masses from Canada make their presence into Arizona, which in turn brings temperatures well below zero in the higher plateau and mountainous regions of central and northern Arizona. The lowest readings in the winter can drop down to 35 degrees Fahrenheit below zero. In the summer, high temperatures are generally 20 degrees cooler than the lower elevations, such as the Phoenix area. On the other hand, if you feel you just cannot seem to get enough heat to keep yourself warm because perhaps you have been frozen in the "tundra," for so long and cannot seem to "thaw out," then you will adore summer here in the valley. It certainly does get hot! In fact, temperatures have reached 125 degrees Fahrenheit before, but this is not all that common. Since my move here in 2001, however, the warmest I think it has ever been has been around 112 degrees or so. I know that sounds extremely hot, which it is. But it truly is as they say "a dry heat." I know that sounds silly, but it it true. To me it doesn't feel as hot as it did when I lived in Wisconsin or Minnesota. The humidity is nowhere near it is in the Midwest. Even during the Monsoon season, it still doesn't feel as hot back home where I used to live, which is another of the several reasons why people move to Arizona. During the winter months here in Arizona, you can expect daytime temperatures averaging around the 70 degree Fahrenheit mark, while at night, temperatures often dip down to the freezing point at times. I have lost a couple of plants due to my ignorance on my part, thinking that "they wouldn't freeze; it's Arizona!" Just not true. Things can and do freeze here even in the valley and yes, we sometimes need to heat our homes during the winter. In fact, I still have not taken off my comforter since moving here. People think I need my head examined when I tell them this because they cannot imagine having a comforter on top of them in the middle of summer! Strange, but true. Do You Understand Now Why People Move to Arizona?